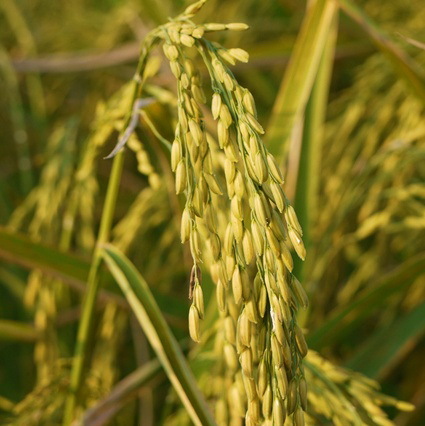 Siam Natural Rice Bran Oil soft-gels come from premium grade Jasmine rice from north Thailand.Thai's have been using the brown outer layer of the rice kernel, known as the rice bran for generations. 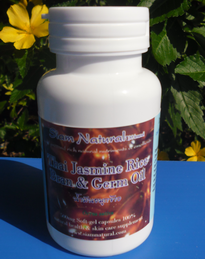 Pure cold pressed organic Jasmine Rice Bran Oil is light green in color - This is the same oil used in the vitamin nutriment grade 500mg softgel capsules. It is the best of the best and makes a world of difference compared to those other oils that have been heat and/or chemical processed. They may be OK for cooking but none are of high nutriment grade. [03/16/2006] - Tocotrienols, a form of vitamin E, could stop the spread of cancer cells, adding to previous studies and drawing attention to this least studied form of the vitamin. There are eight forms of vitamin E: four tocopherols (alpha, beta, gamma, delta) and four tocotrienols (alpha, beta, gamma, delta). Alpha-tocopherol (alpha-Toc) is the main source found in supplements and in the European diet, while gamma-tocopherol (gamma-Toc) is the most common form in the American diet. Tocotrienols are only minor components in plants, although several sources with relatively high levels include palm oil, cereal grains and rice bran. While the majority of research on vitamin E has focused on alpha-Toc (tocopherols) , studies into tocotrienols account for less than one per cent of all research into the vitamin. tocotrienols but not tocopherols could very well provide us with a safe dietary means to prevent a cancer from becoming metastatic" , said Leong. We are master distibutors of Siam Natural Products.